Franklin County native Robert L. Brame (1892-1968) moved to Durham in 1942. He was elected to the Durham County Board of Commissioners in 1944 and selected as chairman. Under his leadership the board dealt with numerous problems related to development in the county. The Agricultural Building on Foster Street was built to serve the county’s farmers and house the curb market, a youth home was erected on Newton Road, and Durham County’s rural roads were improved. Brame’s other community service included serving as chairman of the City-County Consolidation Commission, a member and president of the board of directors of the Family Service, president of the Watts Hospital Board of Trustees, and a member of the Lincoln Hospital board. He was named president of Citizens National Bank during his time on the county commission. 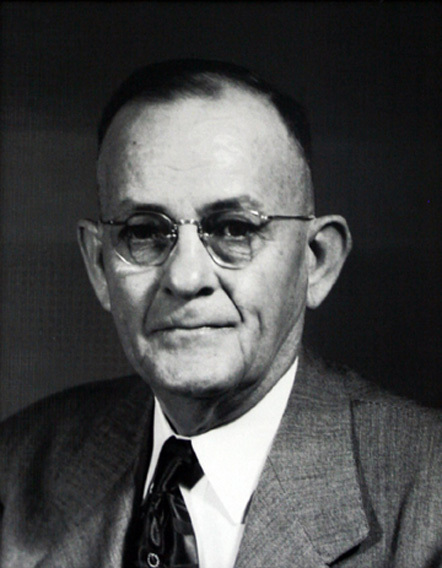 Brame served on the board of county commissioners until 1952, when he withdrew from politics. Brame Specialty Company, which he founded on his arrival in Durham, is still family owned and operated.